What is Nuvega Lash Revitalisation Serum? Nuvega Lash Revitalisation Serum, US $90 for a tube on major reseller sites, is also otherwise provided for a limited time, exclusively online, free trial offer on various affiliate marketing websites that requires you to sign up with your credit card information. Nuvega Lash Revitalisation Serum – Does It Really Work? What are the Ingredients in Nuvega Lash Revitalisation Serum? Does Nuvega Lash Revitalisation Serum Have Any Side Effects? 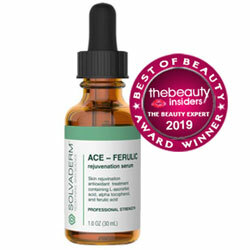 There is no information available online about this serum product’s manufacturer except that this product’s makers formulate and distribute products that have been certified vegan. 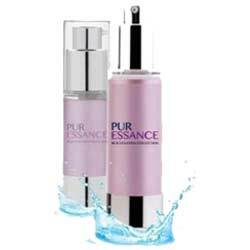 There is not enough information, however, to establish this product’s manufacturer’s track record in formulating beauty products and cosmetics. Provide the nutrients necessary to facilitate faster eyelash growth. Volumize your eyelashes and make these appear denser and with noticeably thicker and longer strands. Facilitate the growth of stronger eyelash strands that are more resilient to breaks and fallouts. Prolong the cycle of falling out to help you enjoy thicker lashes at any given time. With regular product application, your eyelashes will appear gorgeously more enhanced without requiring either mascara application or wearing falsies. Bio-Peptides: Improve the density, volume, and strength of each strand of your lashes. Vitamins: These help replenish your eyelashes’s ideal nutrient content, providing the necessary components to help your eyelashes show a healthier growth that is, at the same time, more resilient to damage and untimely fallouts. Apply Nuvega Lash on thoroughly cleansed eyelashes and eyelids only. Use up to twice daily for faster results. To apply, make sure to apply from the base of each strand then brush swiftly to the tips. Try not to get the product into your eyes. Nuvega Lash is available via a limited time free trial offer where you are required to pay only a minimal fee of approximately US $5 to cover shipping and handling costs. This product has been designed and formulated to deliver multiple benefits to enhance the appearance as well as the health condition of your eyelashes. 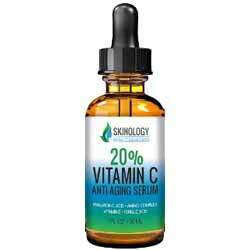 The full ingredients list has not been disclosed, making it impossible to make a more thorough assessment of this product’s potency and safety for use, most especially on sensitive and reactive skin types. This product’s distribution network appears limited which may not make it widely available in all geographies. Nuvega Lash Revitalisation Serum reviews indicate that there have been several difficulties and consumer complaints about dealings with this product’s manufacturer and distributor, that includes after sales services concerning credit card reversals, order cancellations, and requests for refund. Despite of the limited time free trial offer for this product, the terms and conditions of the trial do not permit you to really experience the product and assess how it works for your skin, given the very short period of the trial. Considering the limited information available about this product and its ingredients, as well as the generally scarce number of user reviews, expect side effects to be likely if you decide to use Nuvega Lash Revitalisation Serum. As a precaution, always perform an overnight patch test to check for any reaction that you may encounter with one or more of this product’s components. 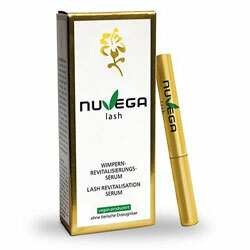 Nuvega Lash Revitalisation Serum claims to give you the long, thick and flirty eyelashes that you have always desired. It’s hard to make out though how it proposes to deliver so, in the absence of a full disclosure of this product’s components. That given, trying it out entails a lot of risks that you can’t even calculate before you make. At least check out other products before you decide to stash this one under a free trial offer.